This year, I got a little over ambitions and picked out 2 blocks (meaning 2 different quilts) for the rainbow scrap challenge. 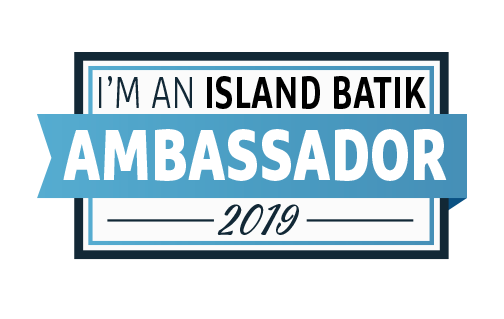 And I'm behind. 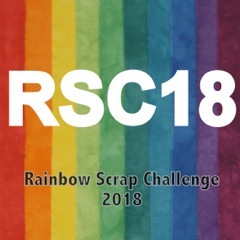 One of the things that I like about Rainbow Scrap Challenge is that it is very casual, so being behind is not a big deal at all. Still, it will feel nice to catch up. So I'm setting getting caught up as my OMG (One Monthly Goal). 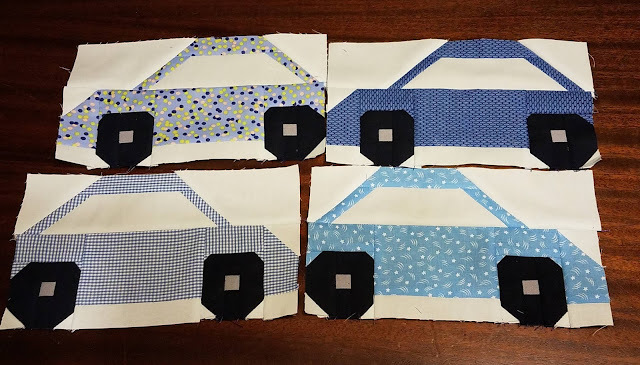 That means green car blocks (blue from January pictured below) AND blue, purple, and green kitty cat blocks. I have a lot of pieces for the kitties cut out but no actual blocks pieced. Linking up with Patty of Elm Street Quilts. Those car blocks are adorable! Thanks for linking up with Elm Street Quilts One Monthly Goal and congrats on your finish. Oooh, those are very cool cars! Hope you have been able to get caught up a bit on all your projects. These car blocks are the cutest! I love them! You are so right about the RSC mood! Great blocks! I have to do my green ones and one purple yet too.